Great Old Town location! 3 bedroom, 3 bath condo with lots of space. Kitchen features all modern necessities & includes a wonderfully finished breakfast bar, perfect for entertaining guests or enjoying your morning coffee, and is completely open to spacious living room & side den that could easily be used as sizable office space. Significant room to create walk-in closet off master bath & add private office or sunny retreat near front entrance. The 2 rear bedrooms both enjoy personal entry from shared brick-paved courtyard, privately located in back of complex. 3 totally renovated, beautifully tiled baths with modern fixtures give every room an ensuite bath. Generous closets, plenty of storage space, washer/dryer, & off-street parking.Home is move-in ready & offers wonderful possibilities for adding personal touches. Buyer can easily install additional kitchen cabinetry & extend kitchen footprint into the more-than-generous living area. 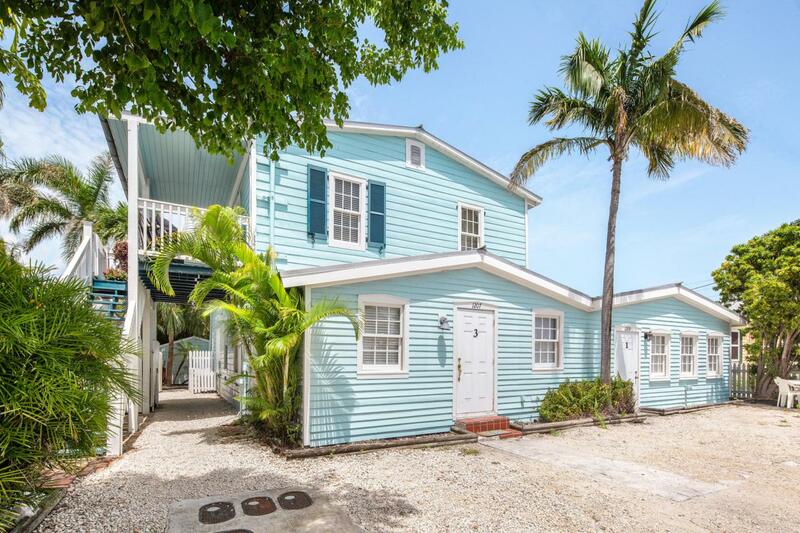 This condo will appeal to those seeking a larger floor plan w/more beds & baths than most Key West condos provide. Conveniently on the 1st level, within the X flood zone, & just a minute's walk to restaurants, bars, the beach, & world-famous Duval St! Listing courtesy of Brenda J Donnelly of Berkshire Hathaway Knight & Gardner Realty (Kw).